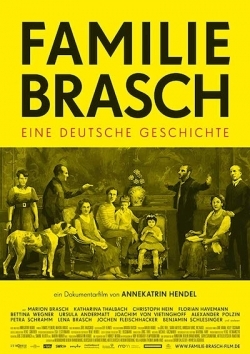 Since the late 1940s, the Brasches have been the perfect family of party officials, living the German dream of socialism in the Soviet zone of occupation. Horst Brasch, a passionate anti-fascist, is helping to build an East German state which his wife, Gerda, won’t consider home. Their son Thomas is a budding literary star. Like his father, he dreams of a more just world, but like younger brothers Peter and Klaus, he is critical of the way in which socialism has been implemented. As they do everywhere else, the generations clash in East Germany in 1968. Horst turns Thomas over to the authorities — triggering the end of his own career in the process. After 1989, socialist dreams of any kind are no longer of value. Director Annekatrin Hendel delivers a portrait of three generations of Brasches as a microcosm of societal tensions being carried out on a large scale — between East and West, art and politics, communism and religion, love and betrayal, utopia and self-destruction.